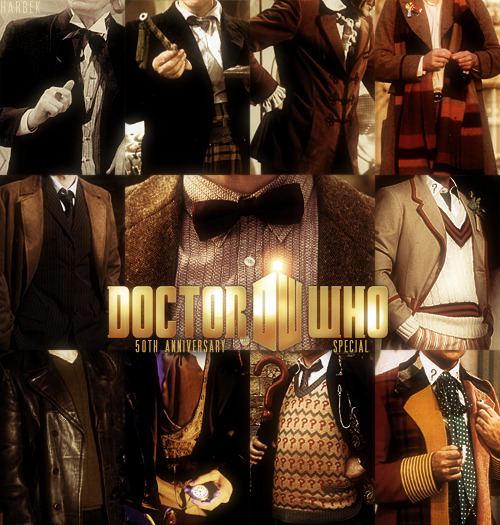 Matt Smiths Doctor has so many wonderful layers. There is the classical upper class Englishman. There is something of the outsider throw in a dash of camp and you have an actor who is growing so wonderfully in to the role. I am warming so much to Matt Smith's Doctor. Literally every performance he gets a little better. I like this Doctor very, very much. I was watching a clip of Neil Gaiman talking about DW to Craig Ferguson earlier, and he summed it up perfectly by saying that Matt does that thing of being 900 and being eleven at the same time. That has to be hard to put across, but he does it brilliantly. I remember seeing that interview and nodding all the way through it. LOL He's the only one I've ever found convincing as an ancient alien in a young (hot! ) body. He's VERY easy on the eye! "Matt will go into immediate training, not only to learn how to row like a champion, but to look like one, too." Can you imagine the season starting with the Doctor all buff and muscled? I sure can!! On the eve of the finale to his second full season I just wanted to say how utterly amazing Matt Smith has been in this entire split-season. I have loved his performances - even when the story has let him down! There is a depth to his performance that others have not been able match and I find myself drawn to him when he is on the screen. This season has been a triumph for Matt Smith. I've loved Matt Smith in the role since his very first episode. I, like many others when they saw the announcement of the new Doctor, thought he was too young, too inexperienced, etc. I was so pleasantly surprised at the end of "The 11th Hour". Smith is definitely that one in a million actor, and they were very lucky to have scooped him up before some other producer discovered him. He's far surpassed Tom Baker and Chris Eccleston as my favorite Doctors. What amazes me, really outright amazes me, is how he is so youthful and has the quirky alienness about him, but on the other hand there are scenes, where you look at him and he litterally looks a thousand years old, it's in his eyes, his face, his whole appearance, that you actually have to stop and think "Wait, this guy is not even 30 years old?" Every time such a scene comes up, he has me hooked completely again. David Tennant is a fantastic actor and i admire his skill to put a thousand diffent looks on his face during one minute and you believe him, but he never convinced me of the Doctor's age as Matt does. I have no Idea how he does it, but on screen he just get's 900 years older in the blink of an eye. He just gets better and better imo. I'm really hoping that he will stay on long enough to do his fourth series and then I think he will have done enough to move on. There has been talk of him leaving since his first episode and I think that has made his stay feel really short so far, but another two series (including the one they are currently filming) should right that.